On Thursday March 13th, 15 volunteers from Veterinary Pet Insurance came together to build Sweet Cases for local foster kids at our Brea, CA office. 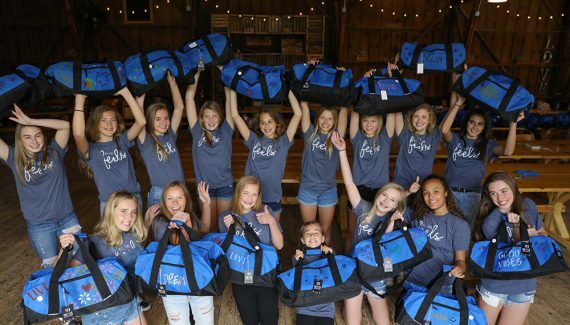 These volunteers were able to assemble 15 Sweet Cases that included a decorated duffle bag filled with a pillow pet, coloring book, crayons, hygiene kit, personalized note, pillow, and blanket. These items mean a great deal to foster kids who do not get many things to call their own. When kids enter the foster care system they receive two trash bags to transport their belongings from home to home. Our Sweet Cases project is tackling this unpleasant moving experience for foster kids. We hope to in part change the perception that these kids get when placing their belongings in a trash bag. This project also hopes to give young foster kids a more positive view of the system that they are entering. In addition to helping these kids, the program incorporates the general public as well as volunteers. This allows us to educate them about the system and have them play a small role in solving the program. 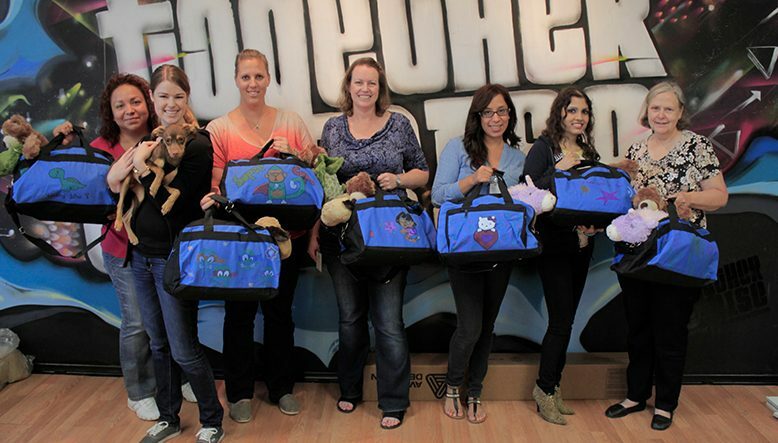 The volunteers from Veterinary Pet Insurance were able to experience this through their Sweet Cases build on March 13th. Thank you to all of the volunteers from Veterinary Pet Insurance! We truly appreciate your generosity in helping TWR continue its mission to transform the way youth navigate through the foster care system. Our corporate sponsors and company events are a without a doubt a huge source of success for our organization. Are you interested in getting involved? By coming alongside our company, you can be apart of the movement to create a better foster care system in America, and be on the cutting edge of resources for foster youth. Our Sweet Cases builds are easy ways to take part in our cause. Email us at info@togetherwerise.org for more information!